Matt Cutts extends his leave, GIF filter for Bing, the ultimate Pinterest pinner poll and goodbye Saby. Did you know cloud-computing is one of the fastest growing areas in IT? To the billion of strangers on the internet, your email address is your identity. Check out the brands that are ruling Twitter. Facebook keyword testing, new Twitter features, and some addictive Hyperlapse videos. Use your 5 minutes wisely to grow your Pinners! Suggested tweets? Apple and Samsung call it quits and our app of the week. Matt Cutts goes on leave. Is YouTube now more popular than live TV? 10 ways to generate traffic without Google and get ready to plan your summer events with our app of the week. Meet Google's new Chrome extension. Why teens still love Facebook and my app of the week. Panda update rolls out, eBay cyber attack and are Google and Apple working together? Backlinks may lose their importance and Twitter Ads introduce languages. Japanese web spam, new Twitter home page, Klout goes mobile and a new way to get the news. Win a SMX London two-day pass! This week we're looking at the #nomakeupselfie for Cancer Research and Twitter turning 8. Plus Matt Cutts' discusses discontinued eCommerce products and the what grade are you getting in life test. Is your blog not meeting your expectations? This infographic will guide you towards setting and meeting your blog post goals. This week's 'Stuff we like' covers WhatsApp going down, the new Google+ feature, the SMX conference agenda and our app of the week. Welcome back to our weekly round-up. This week we explore grammatically incorrect comments, a cool new plug-in, our app of the week and we wish you a happy Valentine's day social media style! Guest bloggers, Google alerts, and the amusing fake signs on the London underground. Here are some of the stories we've been reading this week at the Wordtracker office. Matt Cutts announces image filter, Ryanair partner up with Google for new flight comparison tool. Snapchat apologies for spam and app of the week goes to "couch to 5k". Here's some of the stories the Wordtracker office have been reading this week. The ultimate trivia app 'QuizUp', 10 SEO New Years resolutions, a Google penalty for Rap Genius and the Yahoo malware attack. Here's what the Wordtracker office have been reading this week. This week's round-up including duplicate content, Instagram Direct, the Apple Christmas advert and "let's go caroling" with Google. Our weekly round-up of the stories, trends and apps that we have been enjoying at the Wordtracker office this week. Welcome back to our weekly "Stuff we like" round-up. This week it's all about the Digital Marketing Show, Amazon, Yahoo, Tumblr and Moves app, check it out. Check out this week's "Stuff we like." it's filled with news, trends and the apps we have been enjoying here at the Wordtracker office. Welcome to stuff we like, Wordtracker's weekly round-up of Bing and Twitter's deal, Google Glass and a countdown app. Wordtracker's weekly round-up of news, trends and stories we've enjoyed. This week we are looking at the US Search Awards, PubCon and online Halloween themed treats. Wordtracker's weekly round-up, including - Google secure search, Google's shared endorsement update and CoBook. Wordtracker's weekly round-up of the cool stories we've been enjoying in the office. Looking for a domain name? Here are the 9 elements to consider when choosing the right domain for your business' website. Wordtracker's weekly round-up of trends, apps and news stories. Wordtracker's weekly round-up of the stuff we've been liking this week. Here is an inforgraphic guide to tips and tricks for the perfect tweet. Read the roundup of stuff we like in the Wordtracker office - news, blogs, apps, resources - find out what we like on the Internet. 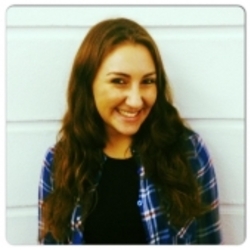 Saby Salvatierra is Wordtracker’s Content Marketing Executive. She has a passion for yoga and cooking YouTube videos, clean baking, along with dancing, and getting up to speed with the latest crime drama. You can find her on LinkedIn, Twitter and Pinterest.